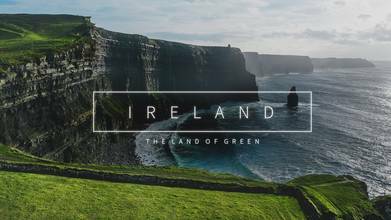 Contributor Zdronu presents his spectacular adventure in Ireland from a drone. In one week, he visited iconic places like the Cliffs of Moher, Rock of Cashel, Kilkenny Castle, Drombeg Stone Circle, Burren National Park, Galway, and Charles Fort. It's especially impressive given the weather: due to hazardous conditions created by hurricane Ophelia, there were times he couldn't even fly. The aerial footage he managed to capture of Ireland's lush green landscapes and ancient structures is outstanding.